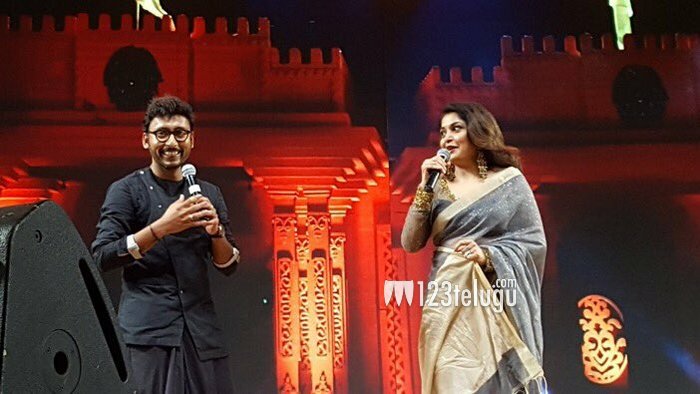 Baahubali 2: The Conclusion Tamil Audio Launch: The second installment of magnum opus flick Baahubli’s Telugu album recently released in Hyderabad, And it’s getting rave reviews from the music lovers. The makers have planned to unveil the Tamil album at the YMCA Grounds, Chennai on April 9, which will be graced by some big names from Kollywood. A huge set will be erected for the event, which is likely to be attended by Rajinikanth, Kamal Haasan, Vijay and many other leading names from Tamil film industry. Check out the below article to know the complete details of Baahubali 2 Tamil Audio Launch Event Date, Time, Passes, Full Event Live Streaming and Online Wath. 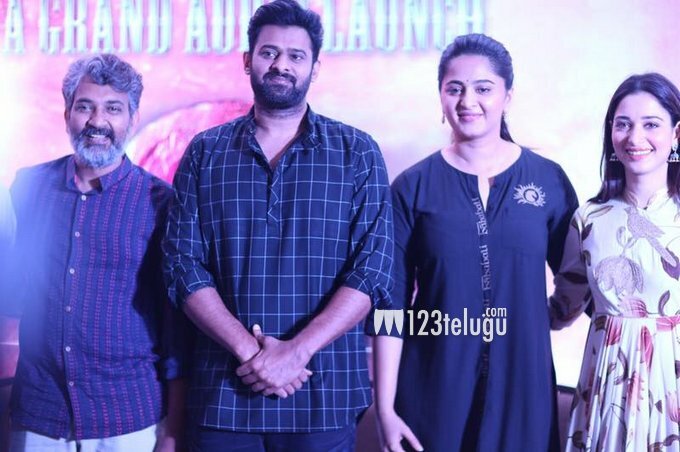 Prabhas, Rana Daggubati, Anushka Shetty, Tamannaah Bhatia and many other members from the Baahubali film will be part of the music release function. Also, the makers are reportedly expecting around 15000 fans to attend the audio launch function of Baahubali. For makers of the period film, Tamil Nadu is an important market, where the first part of the franchise had reportedly collected Rs 50 crore. The album comprises five numbers composed by MM Keeravani and Lahari Music has acquired the audio rights of the four versions of the film. Jaya TV will coverage the live streaming of Tamil Baahubali 2 Pre-Release Function / Audio Launch from 6 PM onwards. Telugu news Channel NTV will also be providing the live streaming service. Baahubali series is touted to be the second most expensive film made in India after Rajinikanth’s 2.0. The film starring Prabhas, Rana Daggubati, Anushka Shetty among others will release in Telugu, Tamil, Malayalam and Hindi on April 28. 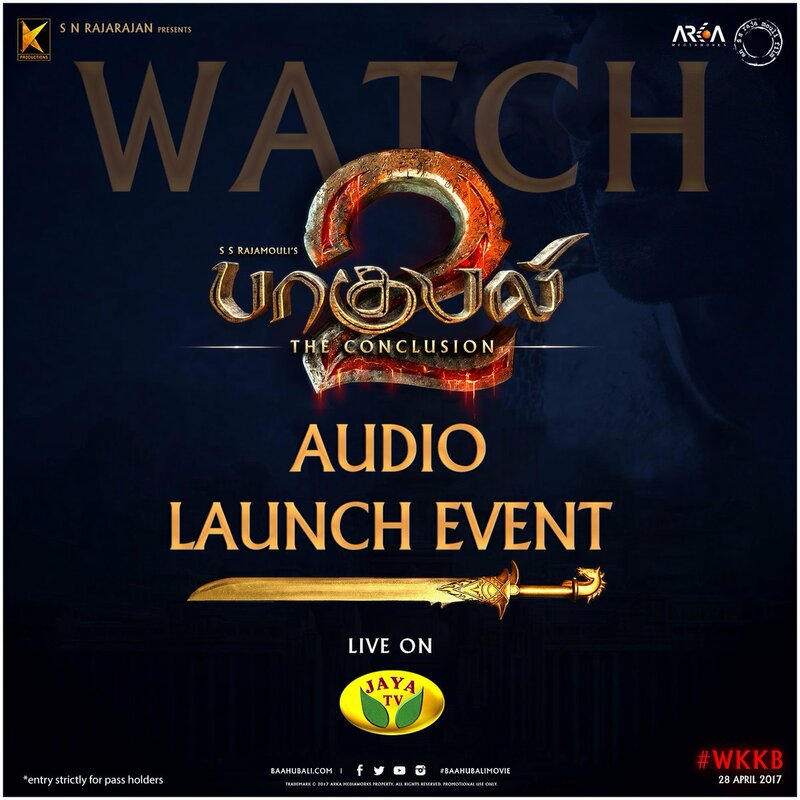 Hope you like this Bahubali 2 Movie Tamil Audio Launch Function Date, Time, Venue, Live Streaming and Pre-Release Business Details. If you like this, then please share it with your friends.